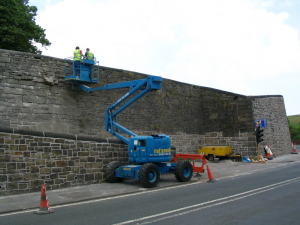 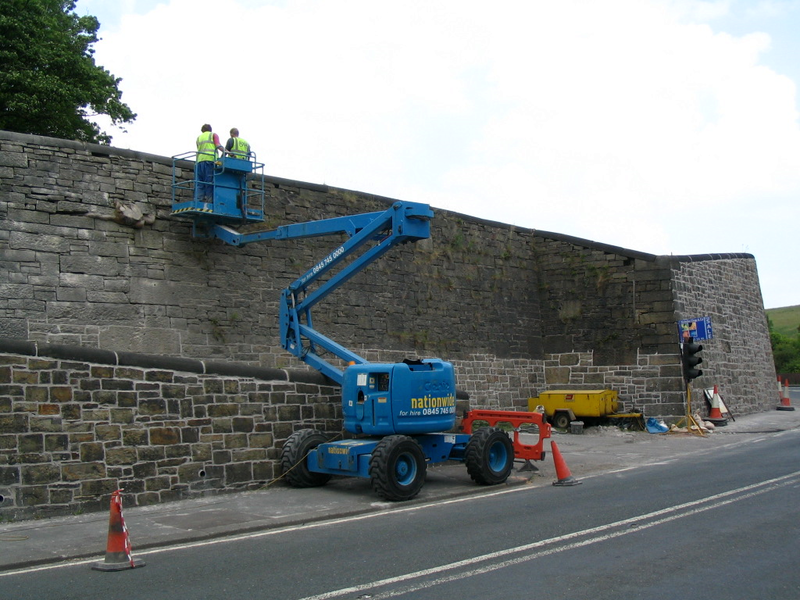 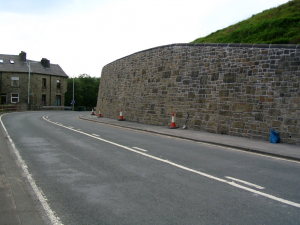 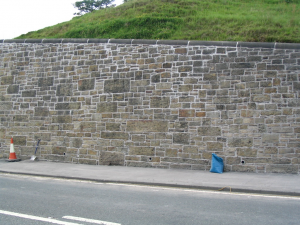 Following un-economic attempts to re-point a large Rossendale retaining wall using conventional hand pointing techniques, Lancashire County Council asked Ram Services to give advice on options for mechanical re-pointing. 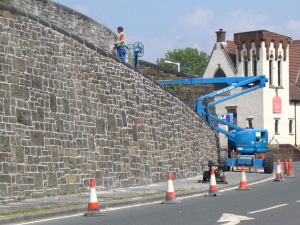 Using their previous experience of work to similar structures, and following completion of a trial, Ram Services were instructed to progress the work. 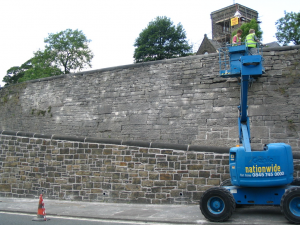 This involved the provision of hydraulic access platforms, as the battered wall face precluded the use of conventional scaffolding. All joints in the wall were then inspected, vegetation growths removed, and then raked out where necessary, prior to being cleaned by high pressure water jetting. Small sections of wall disturbed by tree growth were taken down and re-constructed. 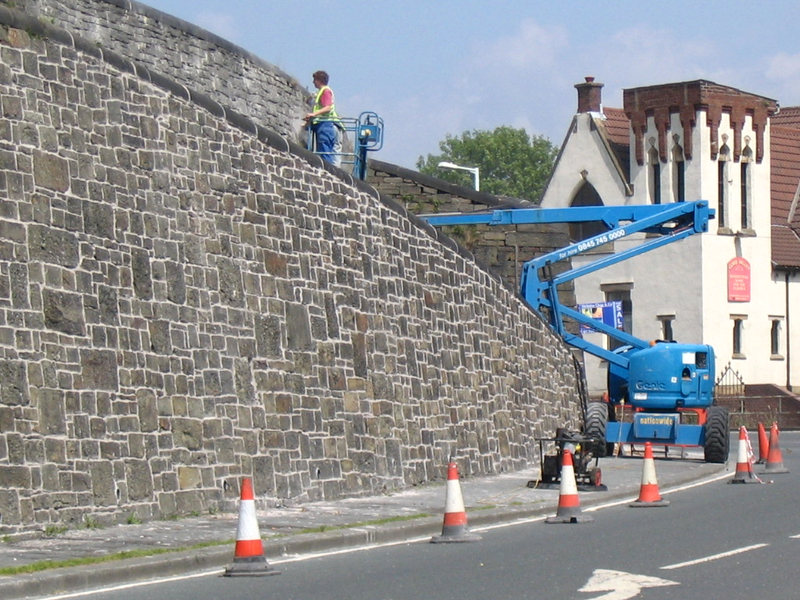 Re-pointing then ensued, using Easipoint Restoration mortar, mechanically mixed and placed using a Turbosol T20 pump and pressure pointing techniques. 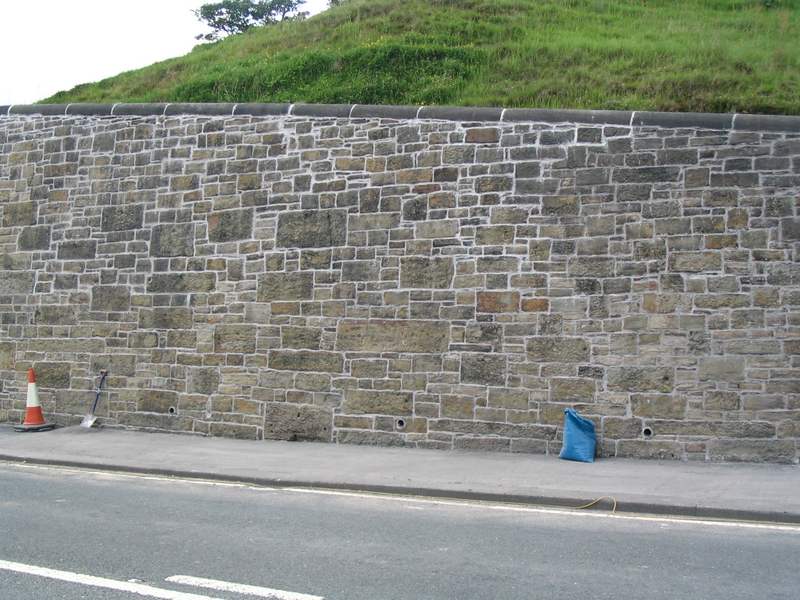 New weepholes were then introduced along the base of the wall using diamond drilling techniques.